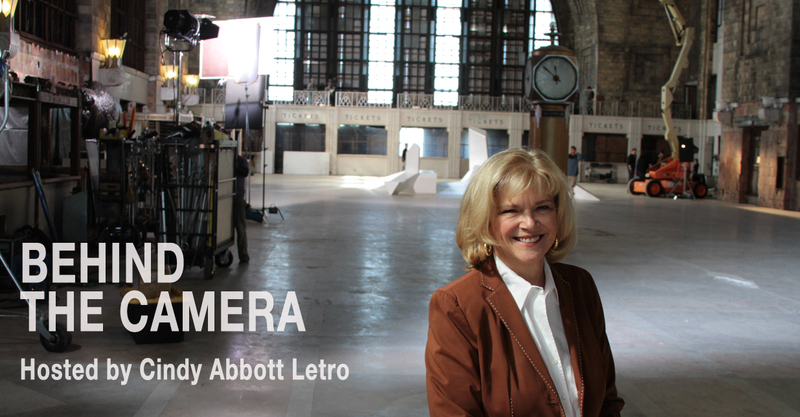 Every month Cindy Abbott Letro interviews the people in front of and behind the camera who are making the Buffalo Niagara Region a wonderful place to create Television and Film Production. Produced by All Services Western New York. On this edition of Behind the Camera Cindy Abbott Letro visits with actor, Director and Buffalo native Addison Henderson in the historic Michigan Avenue Baptist Church. Henderson discusses his journey from Buffalo and back and a film he is about to produce in his hometown. On this edition of “Behind the Camera” Cindy Abbott Letro sits down with Buffalo/Niagara Film Commissioner Tim Clark to discuss the growth of the industry in Buffalo the past five years and what to expect in 2019. On this edition of Behind the Camera the reaction of cast and crew from the Buffalo premier of William Fichtner’s film “Cold Brook”. The premier took place December 9th at the North Park Theatre on Hertel Avenue in Buffalo. This edition of “Behind the Camera” with Cindy Abbott Letro goes to the historic Vidler’s 5 & 10 store in East Aurora and an interview with owner Don Vidler and East Aurora Chamber Executive Director Gary Grote. Cindy discusses how Vidler’s and East Aurora have become favorite locations for film makers. On this edition of Behind the Camera Cindy Abbott Letro sits down with Buffalo State graduate and Kenmore NY native Kyle Mecca. Mecca’s first film “The Dwelling” was a successful debut and he addresses what’s next for this talented director. Cindy Abbott Letro discusses the filming of Marshall in Buffalo with Executive Producer Chris Bongirne. Cindy Abbott Letro interviews producer Alyson Latz who brought “Crown Vic” to Buffalo, directed by Joel Souza and starring Thomas Jane, Luke Kleintank and Laurence Fishburne. On this edition of Behind the Camera Cindy Abbott Letro interviews Actor/Director Jon Abrahams and Cinematographer Matthew Quinn about making the movies “Clover” and “All At Once” in Buffalo. (April 2nd, 2018) On this edition of “Behind the Camera” Producer Peter Johnson and Director of Photography Durand McCloud talk about the production of “The Blackness Project”. (March 6th, 2018) On this edition of “Behind the Camera” Cindy Abbott Letro interviews New York State Senator Patrick Gallivan on the success of the New York state film tax credit program. (February 1st, 2018) On this edition of “Behind the Camera” Cindy Abbott Letro interviews John Scardino Jr. about the growing film industry in western New York. John Scardino Jr. is the Regional 3 Rep of the Local 52 Studio Mechanics Union. On this edition of “Behind the Camera” a look back at some of the segment highlights of 2017. Cindy Abbott Letro brings back interviews with actor Bill Fichtner who Directed Cold Brook, WNY native and Director Mac Cappuccino, Producer Kimber Eastwood and Producer Jonathan Sanger. On December 15th, 2017 Maryvale high school dedicated the school auditorium as the William E. Fichtner Performing Arts Center. Cindy Abbott Letro covered the event for the Buffalo/Niagara Film Office and interviewed Bill Fichtner on the great honor. On this edition of “Behind the Camera” Cindy Abbott Letro interviews Buffalo/Niagara Film Commissioner Tim Clark and Buffalo/Niagara Film Office Operations Director Rich Wall about the Production Assistant 101 class offered by the Film Office at WNED-TV’s studios. JOHN PERCY – NIAGARA FALLS U.S.A.
On this edition of “Behind the Camera” Cindy Abbott Letro interviews John Percy, President and CEO of Destination of Niagara USA on the set of “The True Adventures of Wolf Boy”. Percy discusses the benefits of films produced in the Niagara region and the positive role of the Buffalo/Niagara Film Office. On this edition of “Behind The Camera” Cindy Abbott Letro sits down with Producer and Makeup Artist Kimber Eastwood. Eastwood, daughter of legendary screen actor and Director Clint Eastwood, was in Buffalo filming a new trailer entitled “Diary of a Lunatic”. On this edition of “Behind the Camera” Cindy Abbott Letro interviews Jordan Ladd, starring in the movie “Curtains” filmed in Western New York. On this edition of “Behind the Camera” an interview with John Scardino Jr., the regional 3 representative of Local 52. (August 30th, 2017) On this edition of “Behind the Camera” Cindy Abbott Letro talks with WNY Director and Producer Greg Lamberson about his career, becoming a Production Assistant and the Film industry in Buffalo. Greg is currently in post production on his latest film “Johnny Gruesome” starring Anthony De La Torre. On this edition of “Behind the Camera” Cindy Abbott Letro interviews Sara Shaak, a Producer on “Cold Brook” filmed in western and Central New York. “Cold Brook” is directed by western New York native and veteran film actor William Fichtner. On Tuesday June 27th a news conference was held at the Buffalo History Museum to unveil plans to film “Cold Brook” in Buffalo and East Aurora. “Cold Brook” was written by Cain Devore and William Fichtner, who will also star in the film, Direct and Produce. (May 30th, 2017) On this edition of Behind the Camera Cindy Abbott Letro discusses film making with Producer/Director/Actor and Buffalo native Mac Cappuccino. Mac Cappuccino was in Buffalo filming “Malaisia”, a dark indy comedy features a love triangle with a strange twist, stars Leonardo Santaiti (Allegiant, Sleepless) along with Sarah Baskin (Who Killed Chandra Levy? ), and Josh Nuncio (Love Vampires). Here Cindy interviews Western New York’s very own William Fichtner, who took time out to talk about his incredible acting career. In this segment Cindy interviews Director/Producers Fred Olen Ray and son Chris Olen Ray on their experience shooting films in Buffalo and WNY. On this edition of Behind the Camera with Cindy Abbott Letro an interview with Jonathan Sanger, Producer of the movie “Marshall” which was filmed in Buffalo. Cast, Director and Producer of the film “Marshall” met with the local media in the Dillon Court House to discuss their love for making the film in Buffalo.